Edited: Oh, it is really not Ivo! He also looked more insecure, uncertain, like a visitor, not the owner of the nest..
No. My spontaneous idea was wrong. But in this whole event a second bird was involved, it made a big shadow on the ground while flying over the place. I suppose it was one of the WtEs. 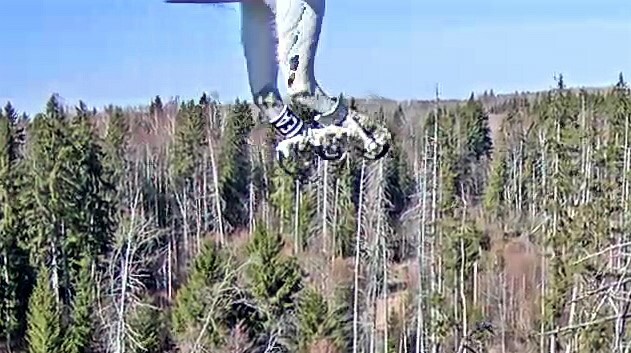 Not sure about whether it was not even in cam view while flying over the nest. But all was very quick, one has to check video material ..... I might be wrong, too. The un-ringed lady made a circle and flew to the nest. She looked up to the sky (to EA, most probably), looked irritated (note the feathers on her neck) and then swiftly took off again..
What I do want to know.. where is Ivo gone?.. I really don't believe that he has started building another nest like that. 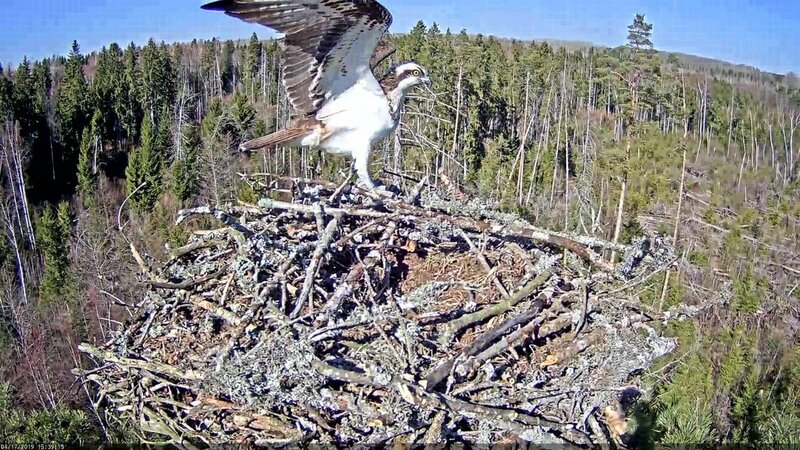 THIS is his nest, ospreys are territorial and also usually mate for life; it's not that he has suddenly been "lured away" by another osprey lady to another nest. Even if he would cheat on Irma, he would do in on HIS nest, this nest..
Perhaps Urmas would have at some point time to comment on this whole situation briefly.. 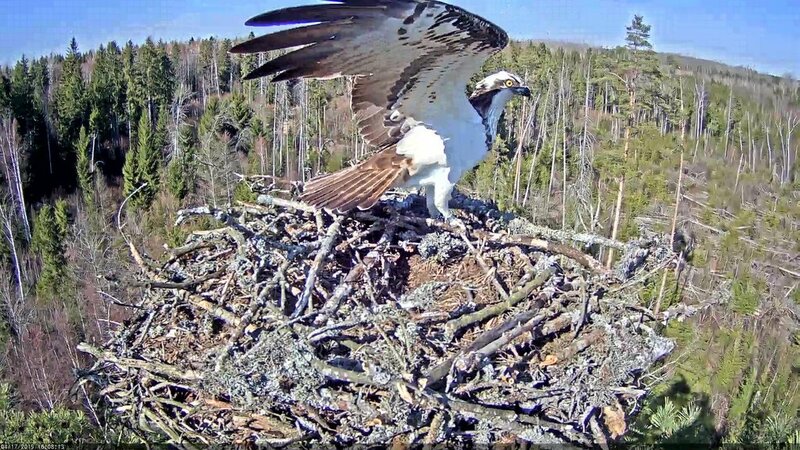 The appearance of the WTE and disappearance of Ivo, could these events be related, in his opinion..
Ivo came back to his nest with an urge to reproduce, with Irma or with any other female who is here first like previous years. Now - why should he stay away (in the woods) for a week and subdue his urge and wait for Irma until she comes? Why doesn't he return to his nest to continue nestwork when he is territorial? Only if the nest seems unsafe for bringing up offsprings. What other reasons might be there? 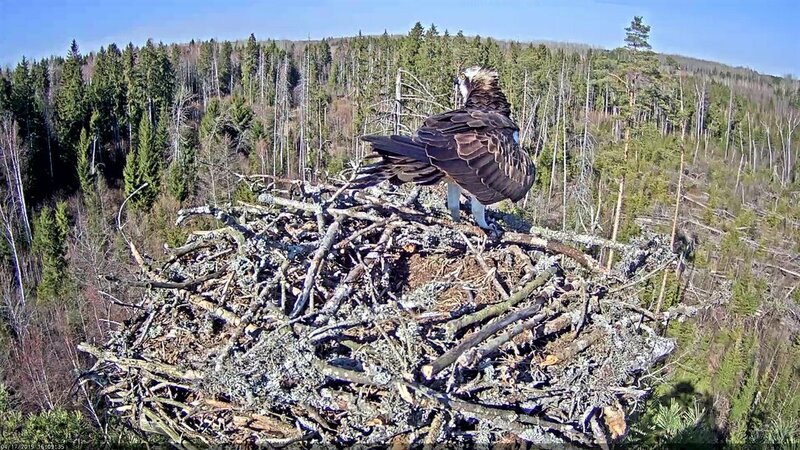 In Latvia, the nest is also not safe, but Teo comes back every year and has not really given it up, although he does not seem to find a new girlfriend. The Ospreys have many enemies. They are very nest loyal. I just can not imagine, and I have not experienced it in all these years, since I follow them, that a nest is abandoned. Except maybe Mati. Mai did not come, he was looking for a female, but they were all probably not mature. At some point that season, he did not come anymore. Either he does not live anymore, or he really started a new family somewhere else. Summi, those are the same questions that we all have. Why why why! Was it the WTE’s? Was there a fight between them? Something happened at the fishing pond? 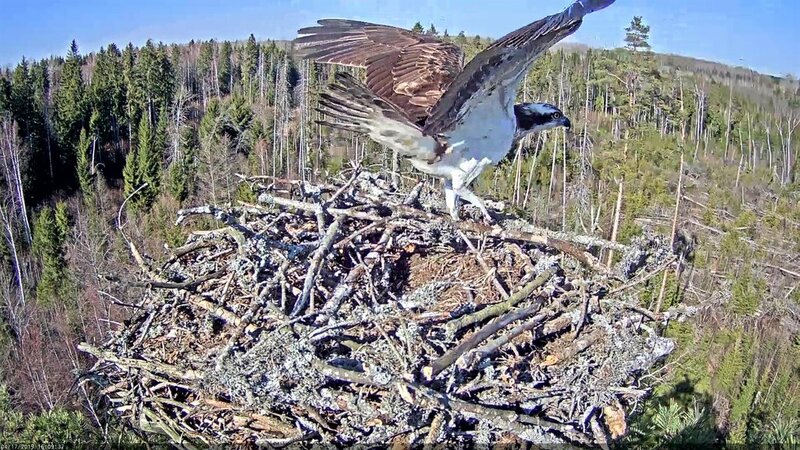 Was Ivo scared off by seeing Urmas, at the nest? Are there other humans near the nest? Is Ivo okay, that’s my most pressing question. Dear Irma - we are all waiting for your arrival, and seeing you with Ivo, again. Mogga, that picture is pure gold! Thank you for the good laugh. Thanks, Mary Jane. One feels stared at by the photo. Many questions about Ivo. He hadn't given the impression at a very early stage that he was really on the ball, as he does every year when it comes to preparing the nest. 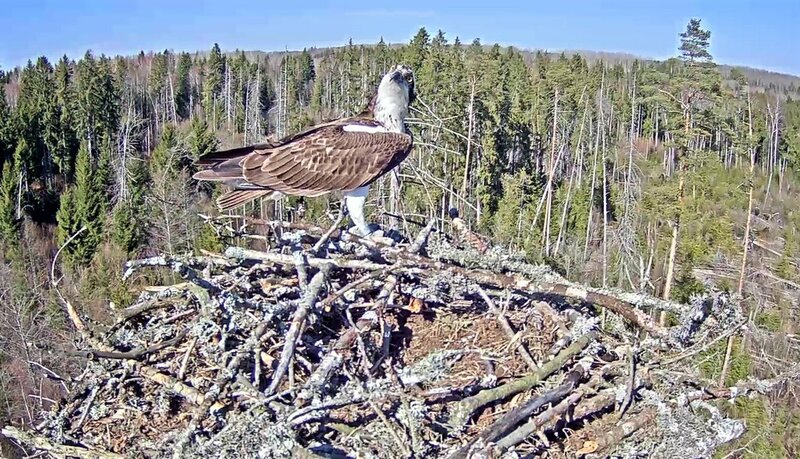 04/17/2019 06:44:13 (Osprey? ), 06:48:29, 07:00:00, 15:39:14, 16:08:01, 16:10:02, 16:46:49, 17:32:11, 18:35:16, 18:36:09.